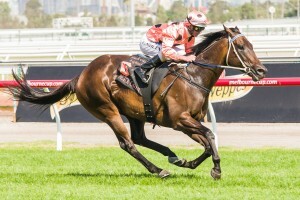 Black Caviar is the overwhelming favourite to claim her second William Reid Stakes crown on Friday night at Moonee Valley, in what could be the champion mare’s last race in Melbourne. The Peter Moody trained horse is long odds-on favourite in a field that contains six other horses, with some bookies offering Black Caviar at 1/25. With Black Caviar more than likely getting a lot money put on her, and is as close to a sure thing as is possible, with even the usually cautious Moody stating that she is ‘good thing’ to win the William Reid Stakes for a second time, we look at the odds for the race without Black Caviar, and see how the rest of the horses shape up. The best place to have a bet on the William Reid Stakes is at Bet365.com, where you will find the best odds on this race and for any future horse racing event. The odds referenced below are from Bet365.com. The only former winner of the race in this field is, indeed, Black Caviar, who will look to bring up the 24th victory of her unbeaten career and match the record of 14 Group One wins set by Kingston Town. The six year old mare is difficult to look past, as she seems to be in perfect condition after having had a five week break from racing following her win in the Lightning Stakes, which she won in record time. In the list of rivals for Friday night’s race is Black Caviar-stablemate Karuta Queen, who was first up in almost a year in the Listed Bob Hoysted, where she showed good speed before being unable to hold off late challenges and finished third. The feeling is that she can only be stronger after that first run and her record at Moonee Valley is fairly favourable, having won in her only start at the track. Luckygray, drawn on the rails for the race, has had a lot of success in Perth, having won 12 of his 19 starts, earning more than $1.8 million in prize money throughout his career. He fell away badly in the G1 Newmarket Handicap first up, eventually finishing eighth, after a 13 week break from racing, but is unbeaten in three second up runs. Spirit Of Boom put in a strong performance first up in the G1 Oakleigh Plate over 1100m to finish in second, and she could be in a strong position come Friday night. The rest of the field consists of former Hong Kong star Good Ba Ba, who finished fourth in his first two Australian starts before struggling in the mile start in the G3 Carlyon Cup in February, as well as Linton and Fawkner, with the latter getting three wins last spring, including the G3 Tab.com.au Stakes, before narrowly missing out on the G1 Emirates Stakes. Fawkner improved with every outing last year, and may just continue that form over the break. The race takes place at 11:55 CET/ 06:55 EST. Bet365.com is the ideal racebook to place a bet on the 2013 William Reid Stakes. When visiting Bet365.com, click ‘Horse Racing’ in the left sidebar and scroll down to the Antepost section of the page, where you will find all the markets for this race. The William Reid Stakes is one of Australia’s coveted Group 1 races. It takes place annually during the Autumn Racing Carnival at the Moonee Valley Racecourse in Melbourne. Run under weight-for-age conditions, the William Reid Stakes is run over 1200m. This short sprint race ensures that it is always an exciting and fast paced affair and is perfect for the racing fan or punter who prefers short, speedy events. Visit the official race website to keep up with the latest news and check out the race’s wiki page for further information on the event.